The VSG is managed by a committee elected from the Membership. Committee Members are appointed for three years, have full voting rights and are allocated a portfolio of work to ensure their time is best spent and their own skills set developed. They are elected by the membership. A Committee Helper is appointed for one year, does not have voting rights and is appointed to assist the committee to deliver the VSG programme of work. They are co-opted by the committee members. A freelance post was created in 2012 to provide administrative support to the committee. Susie is currently Visitor Studies Curator at Glasgow Museums, where she leads on championing audience research and evaluation across the service on everything from major capital projects to temporary exhibitions. 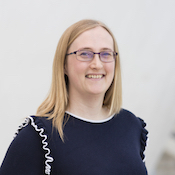 Community engagement and the role of co-production in museums is a key area of interest for her, and she is working with colleagues on a number of projects which are aiming to move Glasgow Museums towards a more collaborative model of public participation within the decision making process. Starting out as an English teacher, she found her way to museums via an audience development internship at CultureRepublic, Scotland’s cultural engagement hub, before embarking on the post of Assistant Curator of Visitor Studies for the Riverside Museum Project. She holds a BA (Honours) in English Literature and Sociology from the University of Glasgow, a Postgraduate Diploma in Education (Secondary) from the University of Strathclyde and recently obtained her Postgraduate Diploma in Learning and Visitor Studies in Museums from the University of Leicester. Susie joined the committee in March 2014. Chris is Learning Senior Audience Advocate at the Science Museum. He is currently involved on two projects at the Museum working with universities to better understand the visitor experience in Informal Learning environments: ‘Enterprising Science’ with Kings College, London, which seeks to further understand the idea of ‘Science Capital’, and ‘Building Bridges’ with UCL which hopes to better unite learning in school, at home, and in museums. As well as these projects, Chris advocates for learning audiences across a variety of offers, including workshops, gallery resources and festivals. Following a degree in History, Chris completed an MA in American Cultural Studies at the University of Manchester. Marie Hobson has spent almost a decade working in research and evaluation in the museums and heritage sector. She began her career in the audience research department at the Science Museum, then became a Learning Researcher at the Natural History Museum, followed by Research Manager at the Heritage Lottery Fund. She is currently the Learning and Audience Research Manager at the Natural History Museum. In this role, she is responsible for: setting and delivering the research and evaluation strategy for the Museum; providing practical research to inform the development and delivery of the Museum’s offer; developing partnerships with academic institutions and using audience insight to inform the Museum’s strategic direction. Marie has a Masters in Museum Studies from the University of Leicester and is currently studying for a Doctorate in Education at King’s College, London. Her thesis explores how research and evaluation are conceptualised as well as the barriers to practitioners embedding research into practice. Marie joined the VSG committee in September 2016. Emma currently leads on audience research and evaluation for the learning and engagement team at Historic Royal Palaces (HRP). She works across school, family and adult audiences at HRP’s six palaces, helping the team to evaluate the impact of their projects and programmes. Her specialist areas of interest are measuring learning impact and online research methodologies. She also works on new audience development and insight initiatives. 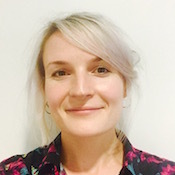 Emma was previously Research Director at customer community consultancy, Verve, Associate Research Director at Kantar Media and Marketing Director at Research Now. She holds a BA Degree in History from the University of Cambridge. Desiree is an Audience Researcher for the Science Museum Group. She is currently working on different projects involving schools, families, and adults from a variety of backgrounds to evaluate their experiences in the museums across the Group. Starting as a prototyper for interactive exhibits, her interests and experiences have expanded to research into visitors’ responses to Art and immersive experiences in science museums and centres, evaluation of participation and community engagement projects, and wellbeing within cultural organisations – for older audiences in particular. She holds a BSc (Hons) in Archaeology from the University of York and an MA in Cultural Heritage Studies from University College London (UCL). 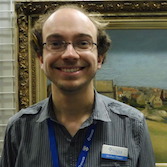 Matt is Learning & Access Curator for the museums service at the University of St Andrews. He looks after the formal programmes across the University’s three museum venues and works on exhibitions, audience development, learning resources and informal programming. He also leads on the museums’ audience research projects, which have resulted in new gallery developments, toddler groups and even comedy events. He’s currently working with teenagers and the Syrian community to record migrant experiences in Fife and running the Museum of the University of St Andrews’ big annual art competition for schools. 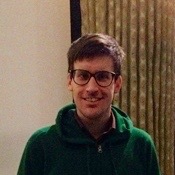 Matt holds an MA (Hons) in Medieval History and Spanish and an MLitt in Museum and Gallery Studies. I am both a freelance consultant and a Senior Research Associate at UCL Institute of Education (formerly at King’s College London). Since 2009 I have worked as a researcher on the ASPIRES and Enterprising Science projects, as part of the core team developing the concept of science capital (www.ucl.ac.uk/ioe-sciencecapital). My broader research and evaluation interests include learning and engagement in early years, families and school groups in informal science environments, including the implications of work on science capital in these settings. 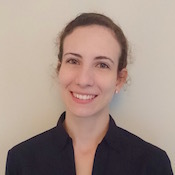 I have over ten years’ experience of evaluation and research around learning in informal settings, and I have worked in a that capacity with a number of institutions, including the Natural History Museum, the Science Museum, Techniquest, and the International Centre for Life. Prior to moving to London for my PhD in science education, I worked for the Children’s Museum of Houston, the New York Botanical Garden and Scholastic. 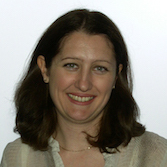 Nicôle is is the Visitor Studies Group Administrator. Nicôle joined the team in March 2016. 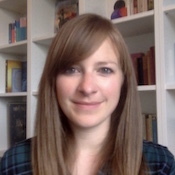 She currently works at the University of St Andrews as an Associate Lecturer in Museum and Gallery Studies and a doctoral researcher in museums, memory and digital applications. In the past she has worked at the Hunterian Museum and Art Gallery, Univeristy of Glasgow, National Galleries Scotland, Historic Scotland and the National Mining Museum in Colorado. Nicôle holds degrees in Applied Mathematics & Archaeology, Professional Archaeology, American Studies and Museum and Gallery Studies. Nicôle works half a day per week, and all emails sent to admin@visitors.org.uk reach her inbox. Conference 2019 – programme announced!